Red Shoe Run Registration is Open! Registration for Red Shoe Run 2017 is officially OPEN! We could not be more excited for this year — we have made improvements that are going to blow you away! As always, we will have our 10 Mile, 5K, and 1 Mile Fun Run through Homewood PLUS this year, we have a “Red Shoe Snoozer” option for those who just want to support the cause and not join us on race day. We also have amazing team/corporate incentives through our Levels of Love program!! 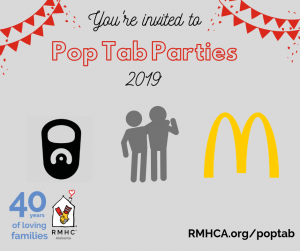 There is truly something for everyone and it’s just a great way to come together and support RMHCA. Your commitment to participate in Red Shoe Run and fundraise for the Ronald McDonald House makes a huge impact on the families who have to travel to Birmingham to receive medical care. Your support keeps families close during their child’s critical illness or injury with a warm bed and hot meal at Ronald McDonald House Charities of Alabama. We hope you take the time to register, set up your personal and even your team page. Families have shared their story to help inspire you so make sure to check those out as well!